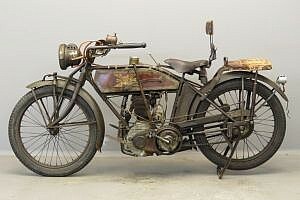 The famous American Excelsior motorcycle was produced by the Excelsior Motor Manufacturing Company of Chicago, Illinois from 1908 until 1931, latterly under the ‘Super-X’ brand name. 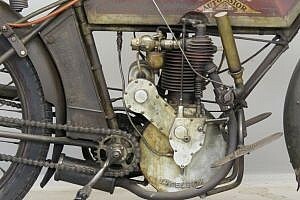 The first Excelsior was a belt-driven single-cylinder machine, the engine of which formed part of the frame. The engine itself was an inlet-over-exhaust ‘F-head’, a design then much in vogue because, whatever its limitations, it enabled the exhaust valve to be directly cooled by the incoming mixture, a positive advantage at a time when the science of metallurgy was in its infancy. 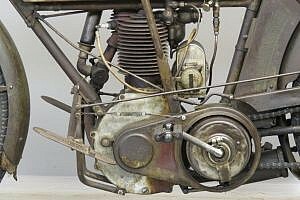 The machine was sturdily built and featured a Harley-Davidson style leading-link front fork. 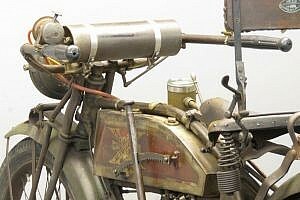 In 1911 Excelsior became part of bicycle-maker Ignaz Schwinn’s empire for the sum of $ 500,000 and that same year a 61ci (1,000cc) v-twin was introduced. 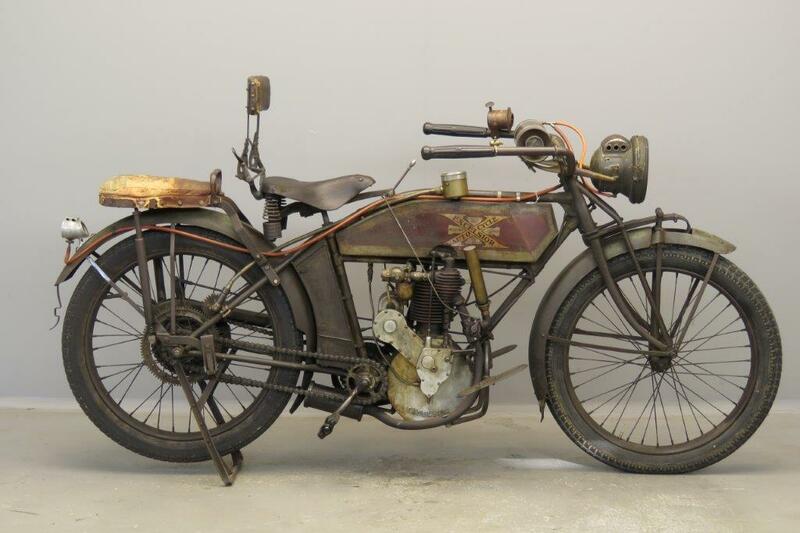 Schwinn’s financial injection and design and engineering input together with the positive tendency in the motorcycle market led to a boost in sales for the make.The 1914 range consisted of 7 models, four 1000 cc v-twins and three singles in the 500 cc class. The machine we offer is the most expensive model in the singles range, it is equipped with a two-speed gear. 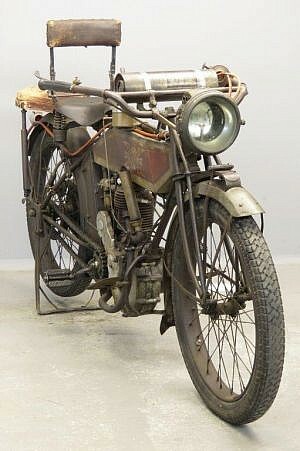 1914 would be the one but last year singles were available: from 1915 the new streamlined 1000 cc model with 3-speed gear came on the market and then the days of the four stroke Excelsior single were numbered. Between 1917 and 1919 a light two stroke model was marketed but that didn’t attract many customers. The machine we present here has been preserved in a fantastic original and unrestored condition. It is equipped with numerous accessories such as “Diamond Chicago” front lamp, “20th Century” rear lamp, “Prestolite” acetylene tank, “Jones” speedometer, “Barco Chicago””exhaust whistle, “Ooga” horn “Stoll” pillion seat ” and “Weed Model M” folding backrest. It is understood that the machine was mechanically rebuilt without touching the wonderful patina, and that it has been ridden on many pre-‘16 motorcycle runs. 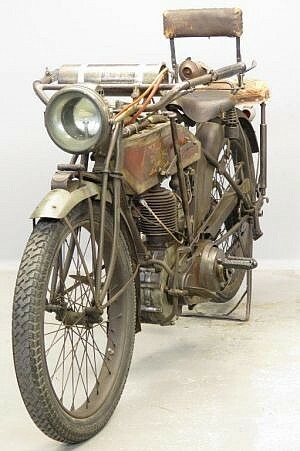 It comes complete with American title. 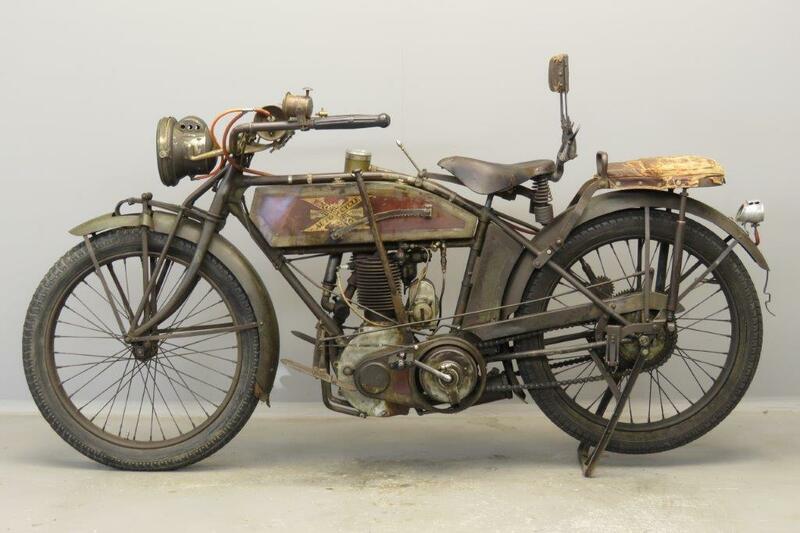 It won’t be easy to find an Excelsior single that is as unmolested and original as this 4TS.